Nageswari Amman represents the Serpent Goddess, an aspect of Devi Shakti. She is surrounded by a canopy of seven snake heads and is a giver of all boons including wealth’. She is worshipped by women, who wish to be mothers as she has an inherent power over fertility. The temple is located in Bangalore-India near Hessaraghatta, where many worshipers are praying to the Cobra nest, which is believed to be a nest to a Cobra snake. It is the mystical belief of the Indian community to respect and pay homage to the powers of the Cobra snake. 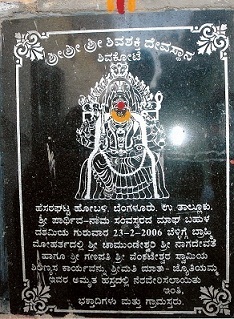 The other Goddesses in the temple are Goddess Chamundeswari and Goddess Kali (pic shown below), Goddesses Mahalakshmi, Mahamariamman, Om Shakti and Ganga Devi. The Gods in the temple include Beloved Lord Ganesha, Lord Vishnu, Lord Shiva, Lord Subramaniam, Lord Saneeswaran, Lord Ajaynayar , Lord Gopala Krishnan, Lord Sathyanarayan and Lord Muneeswar.